So now we're in England - I think we've spent most our time in lineups - or ques....yesterday it had to have been over an hour we waited to go through customs. It is always amazing to me how selfish I get when I am tired. I said to Catherine I would bowl over a person in a wheelchair to get to the front of this line! I didn't....just so you know! I'll try and post some pictures soon - trying to determine if I shoudl try picassa or Flicker. I have accounts at both but at the moment the iphoto plugin they have isn't working which means far too much time uploading pictures....I'll figure something out. Nice flight from Sevilla - definitely processing from the weekend. Pray. I think that about sums it up. We are very challenged to go back to the village and just begin to pray. I think we will invite the people around to being to pray and have a night at our house of just community. I don't think we'll get anything programmy going yet. Interesting side note - I love my wife....and she loves shopping. If I am really going to love her - do I have to learn to enjoy shopping? I have just been staying outside shops while she goes in..admittedly sometimes being frustrated...but then lately I have been doing better at just letting her go in by herself without my bad attitude while she does. The thought struck me today though that perhaps in order to really love her I need to go in and care....hmm. reconnected with some really dear friends at the 24-7 Feast. I think I will make sure to remind people of some links over the next few days and weeks. There are some amazing people out there! 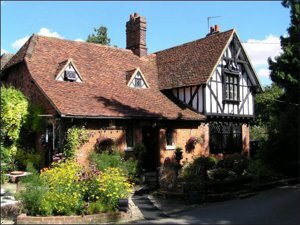 Right - now to breakfast at the cute B and B in the English countryside...maybe I'll post that picture for you! Isn't it just exactly England?